As international leaders in pack-house technology, the core of Compac’s work is the design, installation and maintenance of sorting solutions. We work with global produce brands to provide intelligent and flexible technology solutions to ensure every piece of fruit meets their standard and that the end consumer has a quality eating experience. With business efficiency in mind, this is about reducing labor, increasing throughput, and improving accuracy and consistency of produce. Take Spectrim for instance, our sorting and grading platform which is innovating and has become the future of produce sorting. 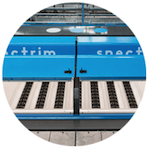 Built from the ground up, Spectrim is the most powerful optical sorting platform currently offered to the industry. Being at the forefront of technology means we’re constantly searching for ways to make the produce industry more efficient and sustainable. 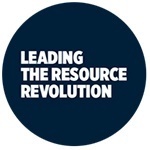 This is a big focus for our parent company Tomra, who’s ‘fight against food waste’ aims to reduce the environmental impact of the natural resource industry. We believe the increasing human strain on natural resources can’t be ignored, as the planet undergoes rapid and continuous growth. With the Earth’s population set to increase by 30% over the next 40 years, Compac is committed to sustainable development, farming and food security. Being conscious of sustainability and food waste has led to the development of our near-infrared technology which reviews the internal properties of each piece of produce. Our Inspectra product had a huge impact on the New Zealand kiwifruit season in 2016; a year of low dry matter due to lower sunlight hours. Dry matter, a key indicator for taste, is paramount to brands such as Zespri who promise a great eating experience every time, yet this was jeopardised in 2016 as a large number of quality kiwifruit had the potential to be lost. Previously, destroying the fruit was the only way to check for dry matter. 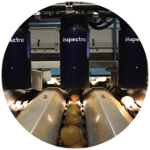 Inspectra allows for the internal quality of fruit to be checked without cutting into it, thus ensuring great tasting kiwifruit didn’t go to waste. One of our customers, recovered over 120,000 trays of fruit back into their inventory with the help of Inspectra. Without Inspectra, much of this fruit would have been considered un-packable. Here in New Zealand we have a lot to offer in terms of science, technology and great land. By focusing on these and finding ways to be innovative on a global scale, we can bring the best of our country’s knowledge and experience to the world. Compac’s dedication to research and development, and how our technology can benefit the fresh produce industry world-wide is drawing eyes to what New Zealand has to offer. Ultimately we believe that if we’re at the forefront of technology, we must be holistic. That means we can’t take technology forward without simultaneously considering our land – in terms of sustainability, food security and the environment.